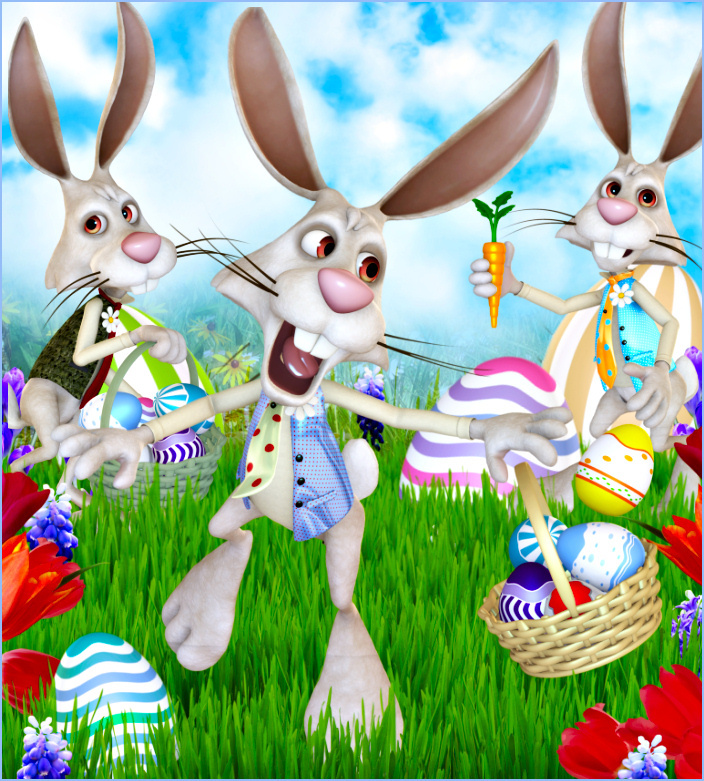 These Wacky Rabbit Graphics are zany and full of springtime cheer. 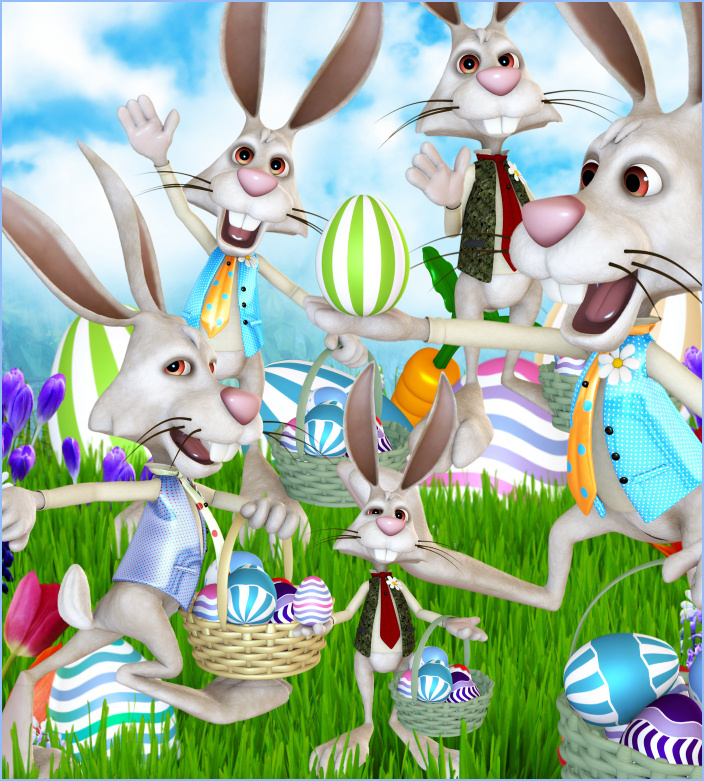 A bunch of wacky rabbits have arrived to deliver some Easter cheer. 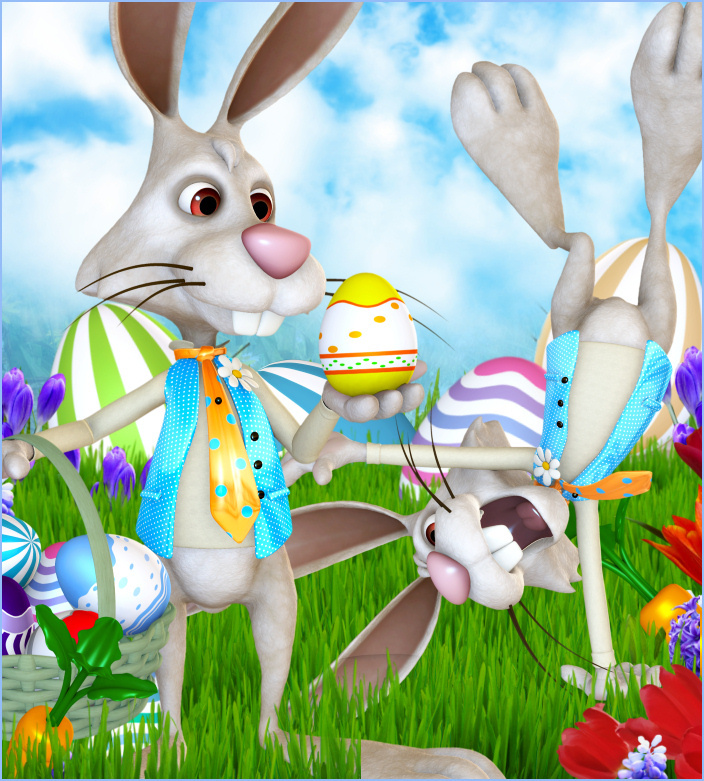 Several carrots and colorful decorated eggs are included to help you create a perfectly zany and unforgettable Easter scene. The seamless background tile seen on this page is included. There are 34 royalty free, high-quality clip art PNG images included in this package. All of these graphics have transparent backgrounds (except for the background tiles) making it easy for you to use them as tubes or nozzles–or merely to drop into your design. The size of these images varies. All are 300 DPI, making them great for print projects. They can be used for personal or commercial projects, including web design, template design, candy wrappers, scrapbooking, and much more. Read my terms. This package is one zip file, which is approximately 42 MB. Thanks, Pauline. I’m glad you like them. I hope you have a wonderful Easter! I love all of your graphics. They’re always just what I need. Thank you so much and sharing your talent with us. You’re a special lady.